Rabbi making a 'Black Forest Gateaux' at the Pre-Shabbat UK Event - to listen to this week's D'var Torah by Rabbi Eisenberg please click here. 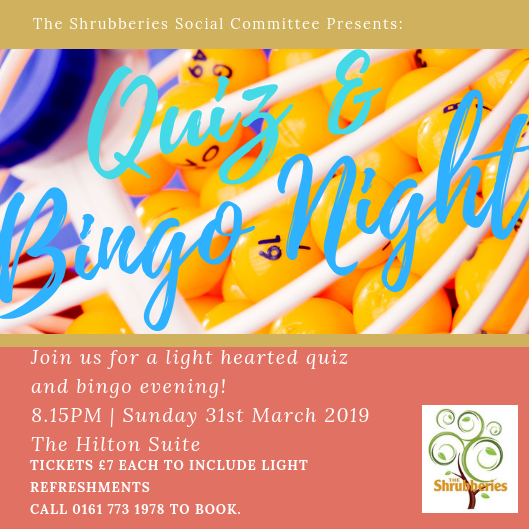 Come to the 'Shrubbs Quiz & Bingo Night' on Sunday 31st March. See poster below for details.